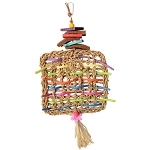 15 x 9.5 x 2"
Our “Silly Saturn” bird toy for large birds is out of this world! 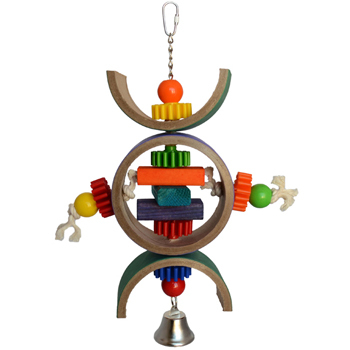 Macaw sized bagels are adorned with hard plastic beads, spinning gears, chunky wooden blocks and a nickel-plated bell. 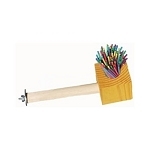 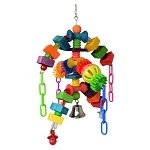 Held together with nickel-plated chain and cotton rope, the entire toy spins and each item spins individually. 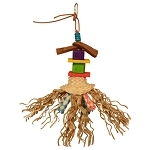 The mixture of colors, shapes, motions, and sounds will gratify the exploratory nature of birds.